16 bit ADC per channel for true simultaneous analog input. 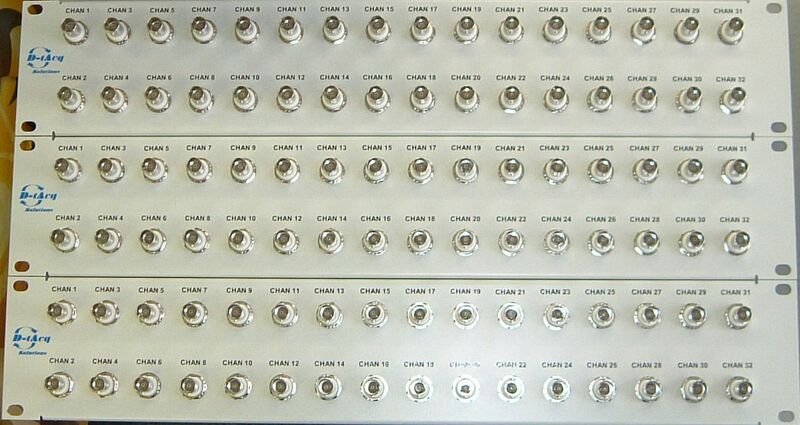 Maximum channel density - 96 channels in one slot, replaces a rack full of 16 channel data acquisition boards! Deployed in competitive applications down to 1kHz/channel. True differential input to each channel. Input features high common mode range and input overvoltage withstand. Plant cable interface to front panel - 3 x HD68 connectors on front panel. RTM-AO16 provides 16 simultaneous analog outputs with low latency control and Arbitrary Waveform Generator applications. External clock, trigger, internal clock. PXI compatible clock and trigger lines. Multiple boards can be ganged together. Up to 1GB DDR memory on board. 512MB recommended for best price. 400MHz RISC processor, runs embedded Linux. Easy software enhancement and great connectivity. 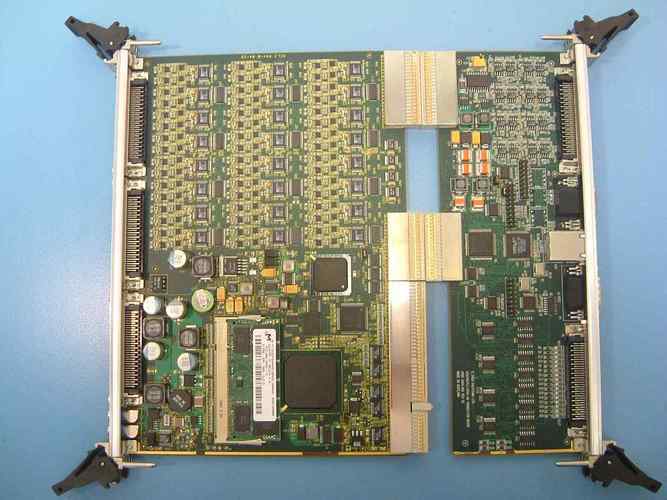 64bit/66MHz backplane PCI interface, huge buffers for streaming data. 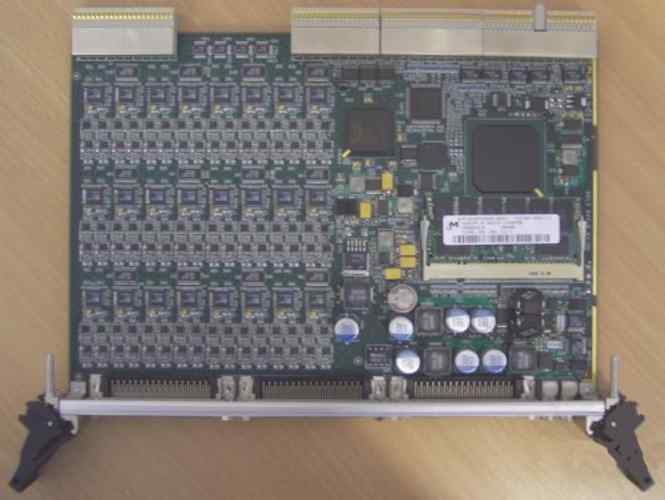 Runs as traditional peripheral board, also capable of standalone and system slot functionality. Standalone networked mode allows very low cost deployment at point of use. System slot functionality allows the card to control other CompactPCI/PXI peripheral cards in the rack, for example gigabit ethernet, serial com ports. Very simple to deploy ethernet analog input. Oversampling, decimating digital filter option built into FPGA . Option implements a 16 tap FIR filter, with 24 bit data output word. Typical use in oversampling application: raw a/d sampling at 500 kSPS, 8 X oversampling, 62.5kHz bandwidth, effective number of bits (ENOB) greater than 18. A longer boxcar filter is available for higher order oversampling, for example ENOB 20 at 4kHz. Custom operating modes implemented in firmware, usually as a kernel loadable module, loaded at run time. Option to use the FPGA as a DSP co-processor, for example input digital filtering, threshold detection, custom digital lock-in amplifier, input synchronized with waveform output. Option RTM-T streams full rate data to PCI-Express and Fiber-Optic links. Like the functionality but looking for something smaller? New range of FMC modules available now.